This is a sudden, though not unexpected, departure from the norm for the pianist Omar Sosa. Gone – at least here on Transparent Water – is his regular group and we have him collaborating with the brilliant Senegalese kora master Seckou Keita, Wu Tong, the Chinese musician from The Silk Road Ensemble who plays the sheng, a bamboo/gourd mouth organ fashioned as the mythical phoenix, the Korean strings player E’Joung-Ju and virtuoso Japanese koto player Mieko Miyazaki. This intercontinental ensemble has been bolstered by Sosa’s long time percussionist, the Venezuelan Gustavo Ovalles, the nagadi (an Indian hand drum) master Mosin Khan Kawa and birdman and producer Dominique Huchet. One is prepared, with bated breath, to expect the unexpected. Omar Sosa is a prolific composer, a tireless improviser and a restless seeker of what it means to be African. He has poured this edginess an endless ocean of music; the swells and gyres have taken him to many shores and Sosa has produced twenty-eight beguiling albums to date. Each record features masterful piano and deeply spiritual music that has African liturgical roots that is embedded in the very soul of the music of Omar Sosa. Transparent Water is a high-point of Omar Sosa’s peripatetic career. On its music Omar Sosa masterminds an expansive, ideally flexible and notably intricate intertwining of a vast musical topography, quite literally from the Caribbean via Africa and Asia to the Far East. In making this Homeric journey, Omar Sosa has succeeded in quarrying a truly evocative score that is rich in its plentiful reserves of noble grandeur, pantheistic wonder and vulnerability in a way that also demonstrates his kinship musical paths unknown. The incredible leap of faith has paid handsome dividends, and Omar Sosa as well as Seckou Keita expend great nervous energy to create a fascinating, tantalisingly enigmatic, elusive and evanescent series of thirteen pieces. 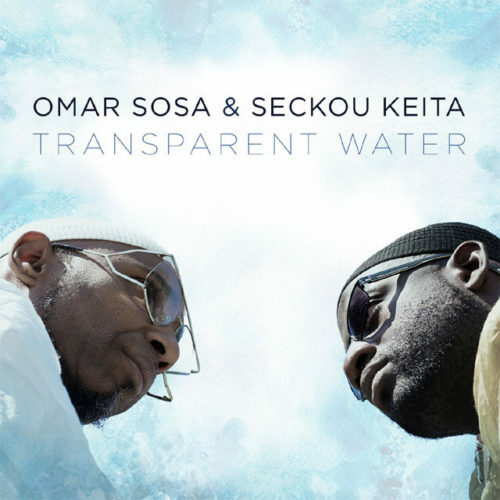 The Transparent Water metaphor is telling especially in the glacial imagery that Sosa conjures up in meditative, complex polyphony, matched at every turn by the dancing, beautifully textured performance on the kora by Keita. Together with the eloquent contributions from the rest of the ensemble we are treated to some of the most sumptuous, vibrant and finely honed accompaniments imaginable. No cherry-picking would be necessary at all. However, in the event that listening for an absolute crest of the wave in the outpouring of this music then “Mining-Nah”, “Fatiliku” and “Peace Keeping” exude a bewitching charm and are easy to fall prey to. Production values are quite extraordinary. This has to be the handiwork of Steve Argüelles together with Philippe Teissier in Paris. The characteristically luxurious sound reproduction is a big factor in this disc’s appeal. Moreover it certainly does justice to the touch sensitive pianism of Omar Sosa and the imaginative eloquence of Seckou Keita’s kora playing as well as the crystalline purity of the other musicians, backed, of course, by the irresistible momentum of the bàtá drums of Gustavo Ovalles. Track List: Dary; In The Forest; Black Dream; Mining-Nah; Tama-Tama; Another Prayer; Fatiliku; Oni Yalorde; Peace Keeping; Moro Yeye; Recaredo 1993; Zululand; Thiossane. 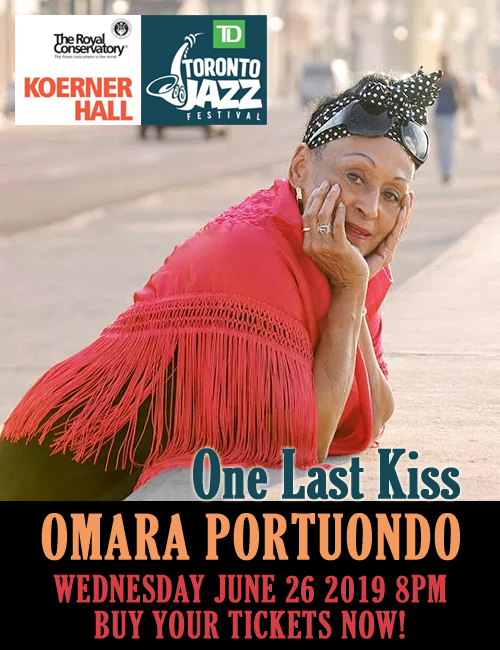 Personnel: Omar Sosa: grand piano, Fender Rhodes, sampler, microKorg, vocal; Seckou Keita: kora, talking drum, djembe, talking drum, sabar, vocals; Wu Tong: sheng (3, 6, 11), bawu (8, 10); Mieko Miyazaki: koto (6, 11, 13); Gustavo Ovalles: bàtá drums (10), culo’e puya, maracas (1), guataca (4), calabaza (9), clave (12); ; E’Joung-Ju: geojungo (9); Mosin Khan Kawa: nagadi (5); Dominique Huchet: bird EFX (9).